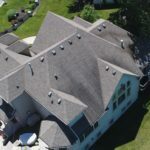 Your roof is one of the most important parts of your home because it offers your interiors all the protection they need. 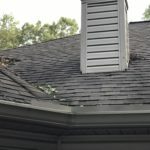 Even a very small and minor problem with the roof of your home can cause massive problems in the future. 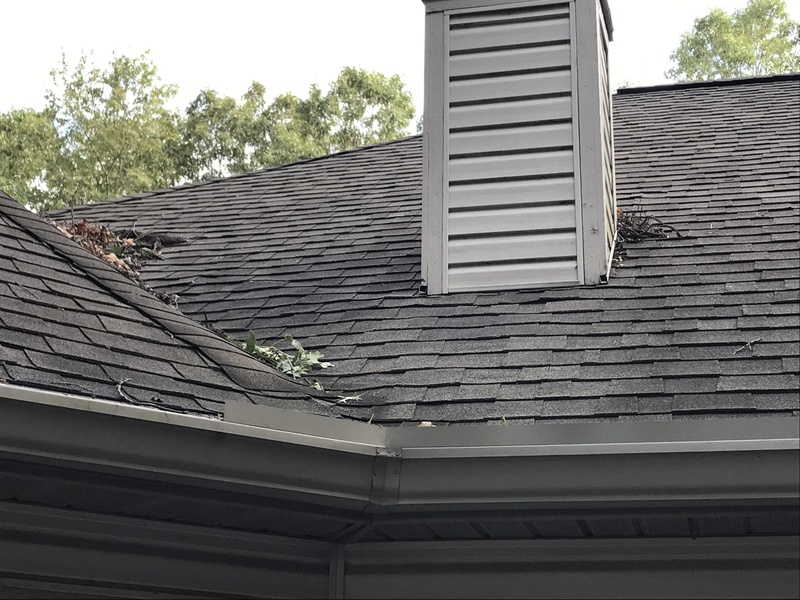 That’s the situation that you really need to avoid if you’re going to have the chance to keep your home in the best possible condition. 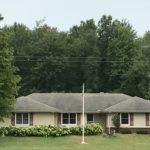 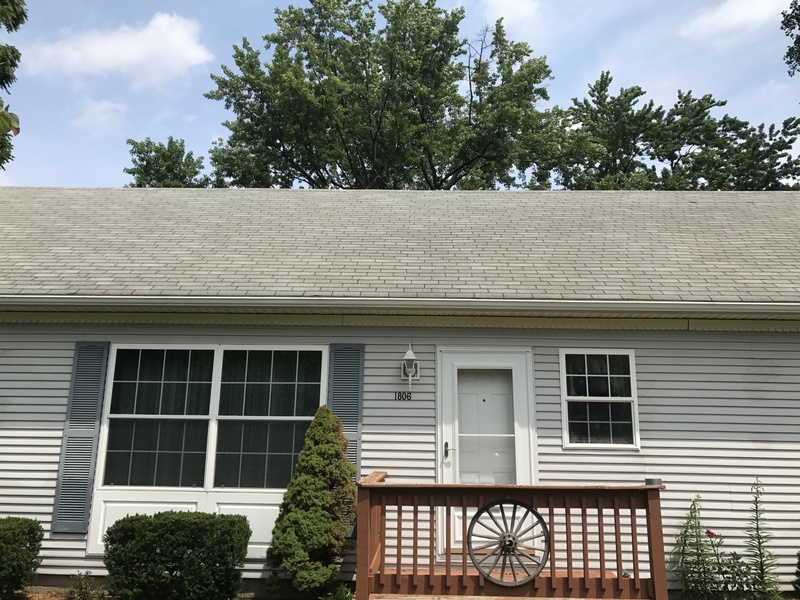 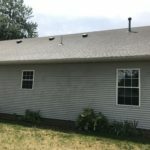 The appearance of the roof also matters because it says a lot about your home will people look at it from the outside. 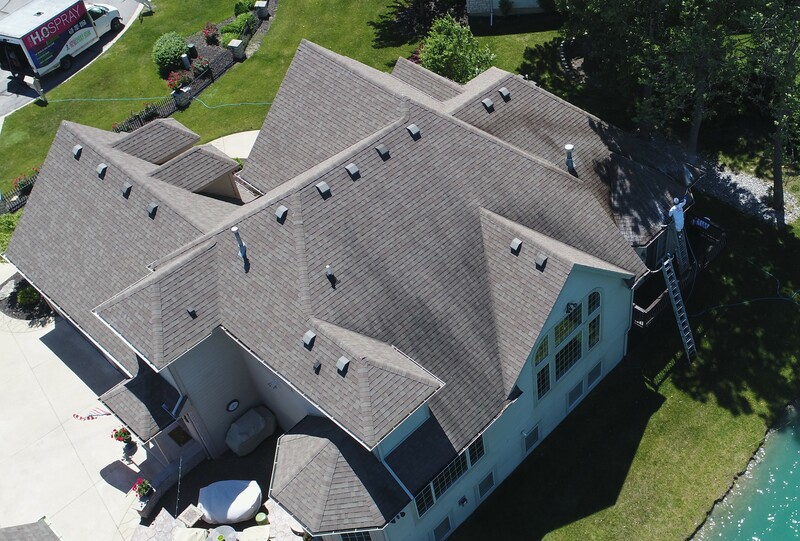 The integrity of your home relies on a safe roof. 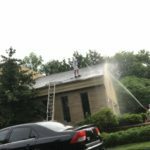 That’s what we’re here to help you with. 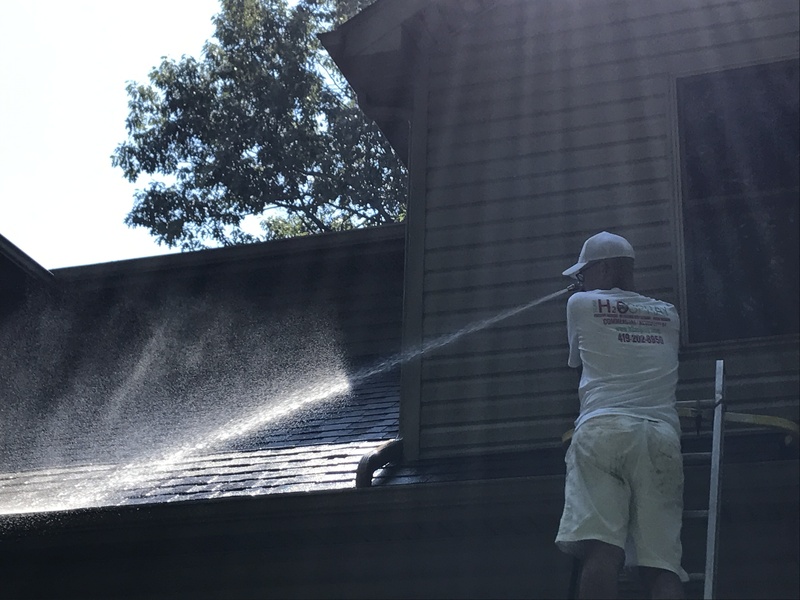 Team H2O Spray is committed to making sure your roof is kept in the best shape possible by keeping it clean and free of dirt and debris that might cause it problems. 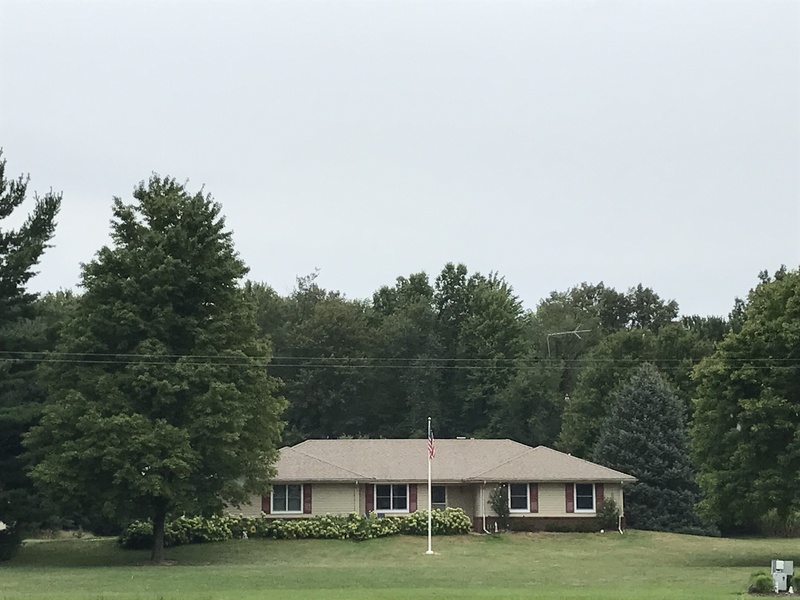 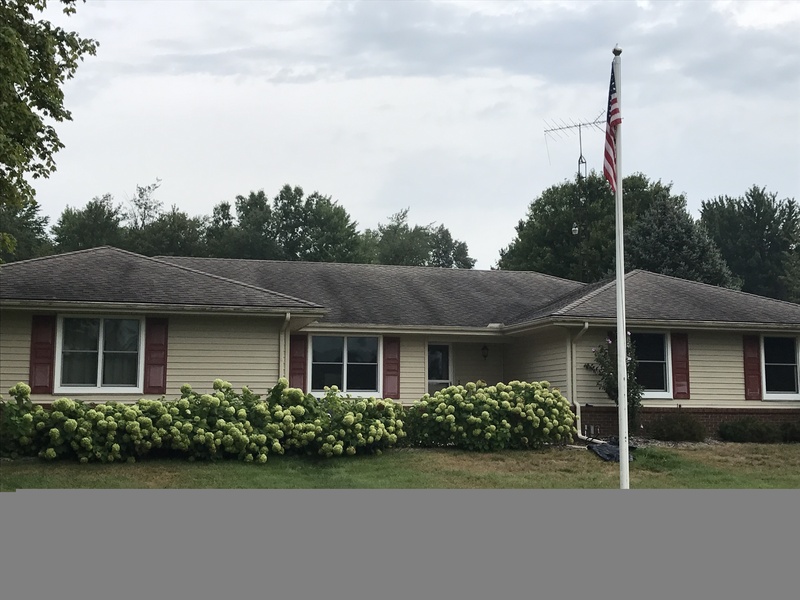 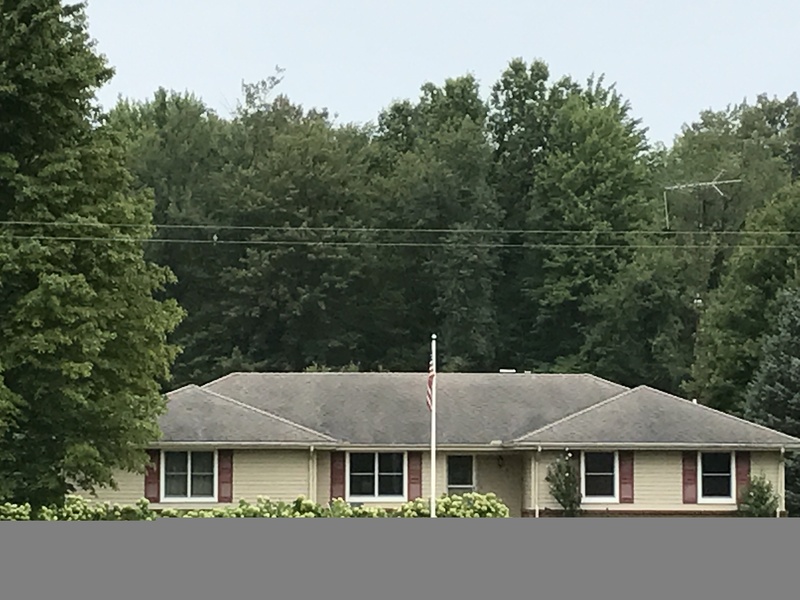 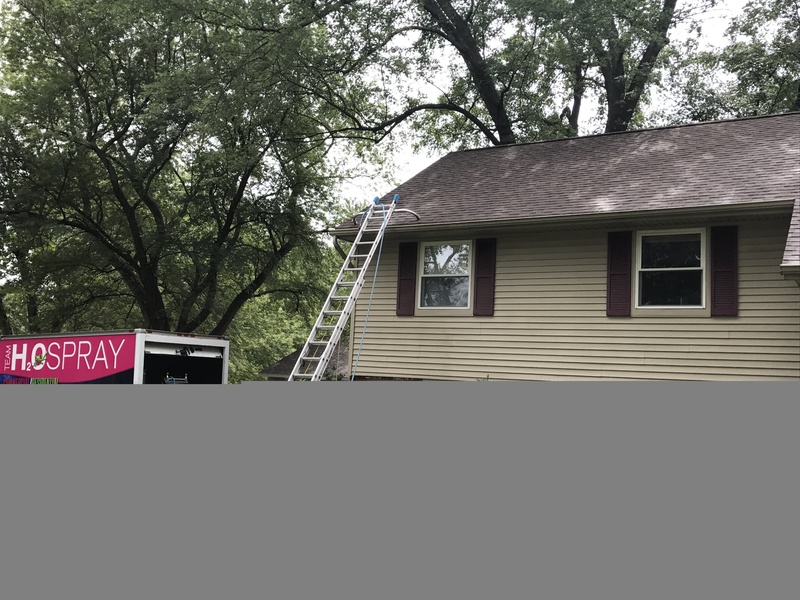 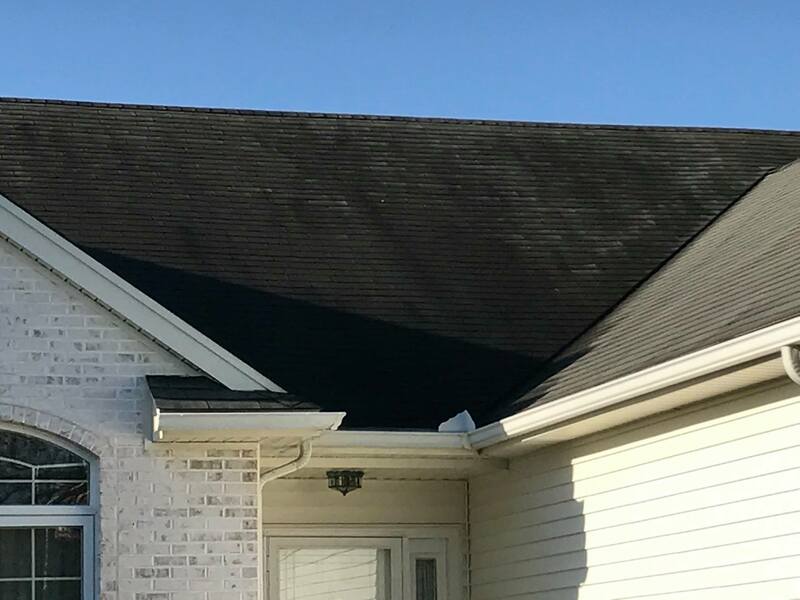 Your home will also enjoy a refreshed and clean appearance when your roof is kept looking new by our team of professionals. 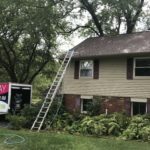 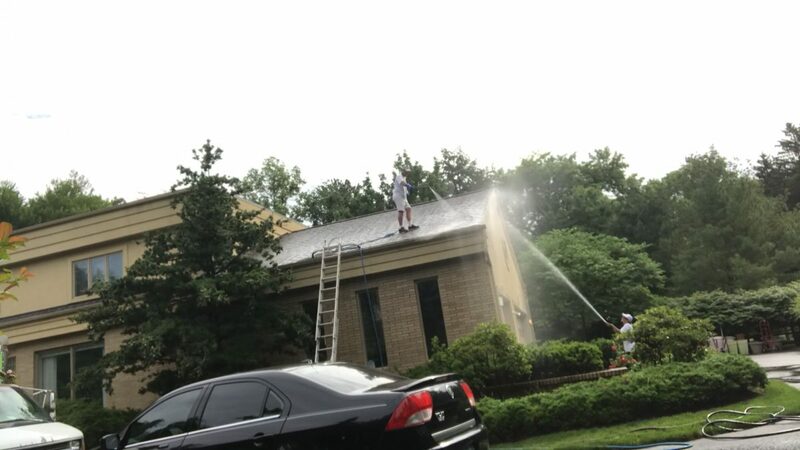 team H2O Spray is the top choice for people looking for the very best roof cleaning services near Toledo Ohio. 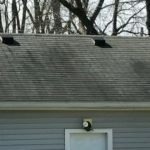 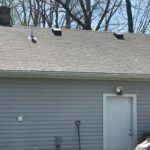 There are plenty of common roof issues that are completely avoidable. 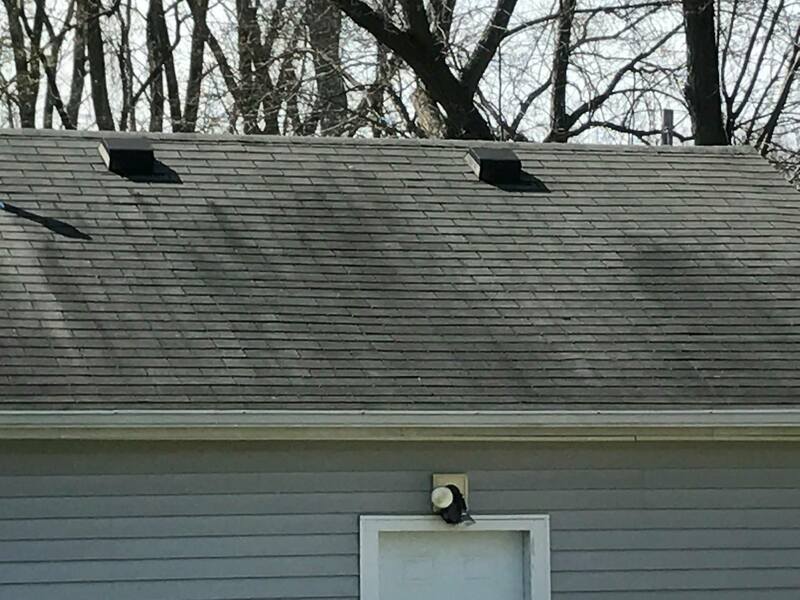 For example, those ugly black streaks that so many roofs develop over time. 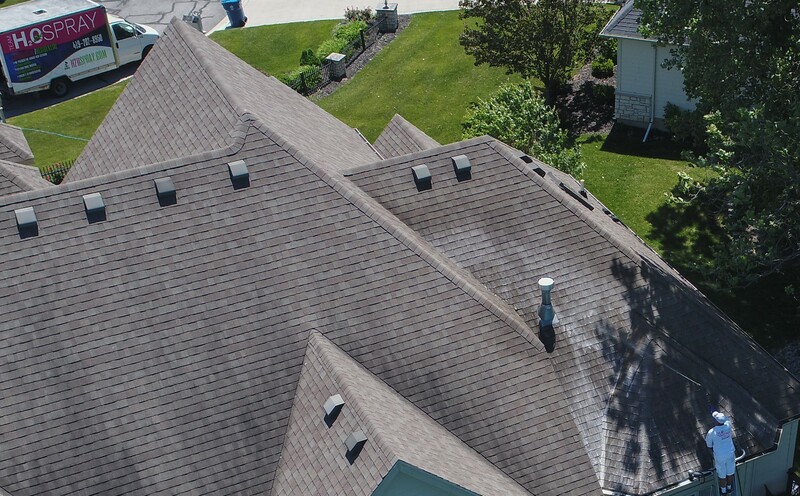 Gloeocapsa Magma is the scientific name for the black mold that lives in roof shingles. 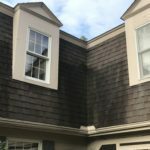 It’s a form of algae that travels through the air before attaching itself to surfaces such as your roof. 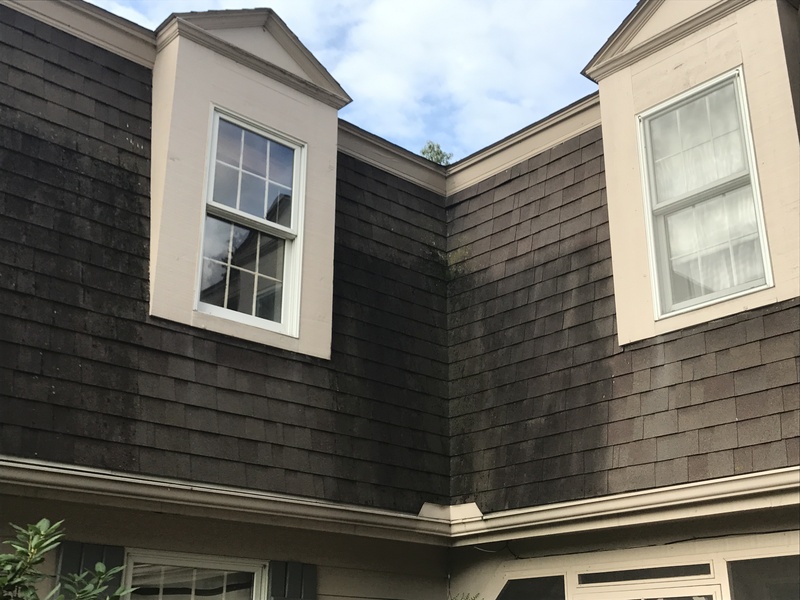 This is more than a cosmetic problem for your home though. 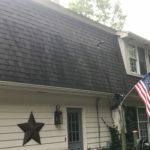 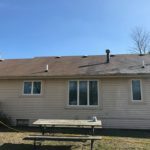 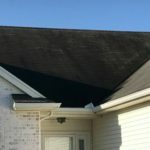 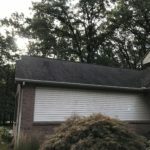 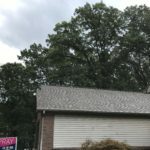 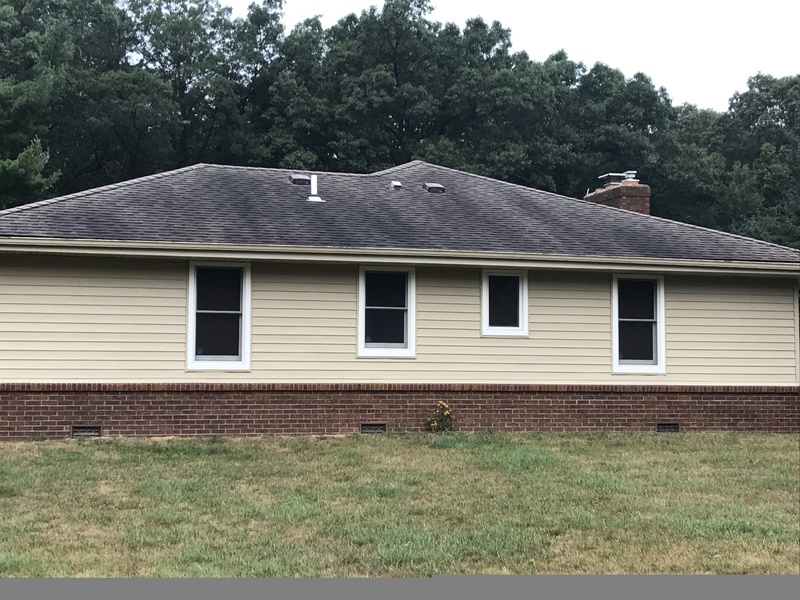 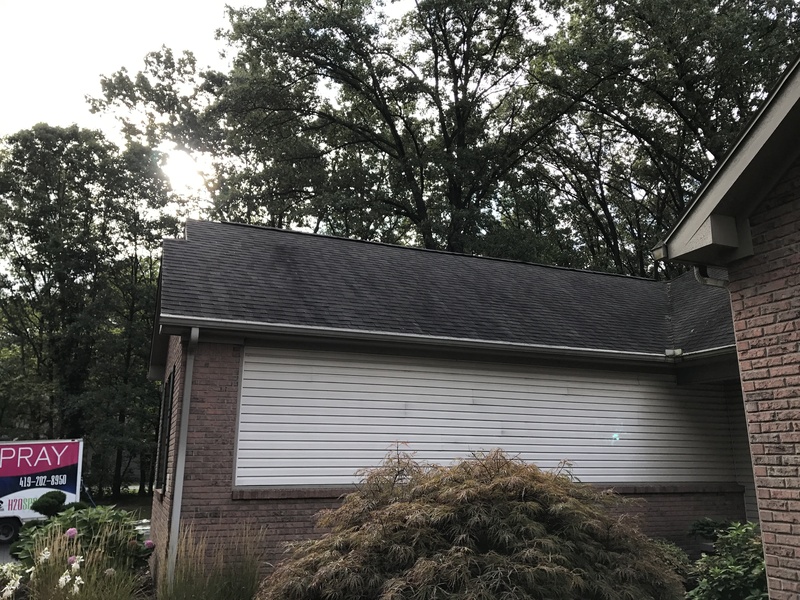 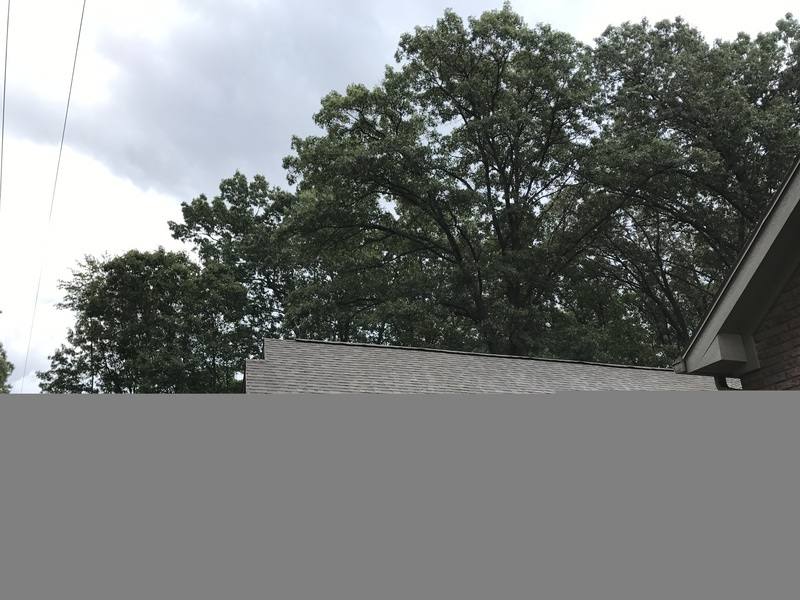 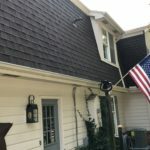 Over time, if the black mold is not removed and washed away by professionals, it can start to eat the shingles of your roof and cause the entire roof to deteriorate more quickly than it otherwise would. 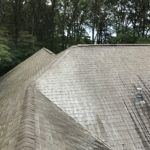 When it comes to the integrity of your roof, it doesn’t make sense to take risks that you don’t need to. 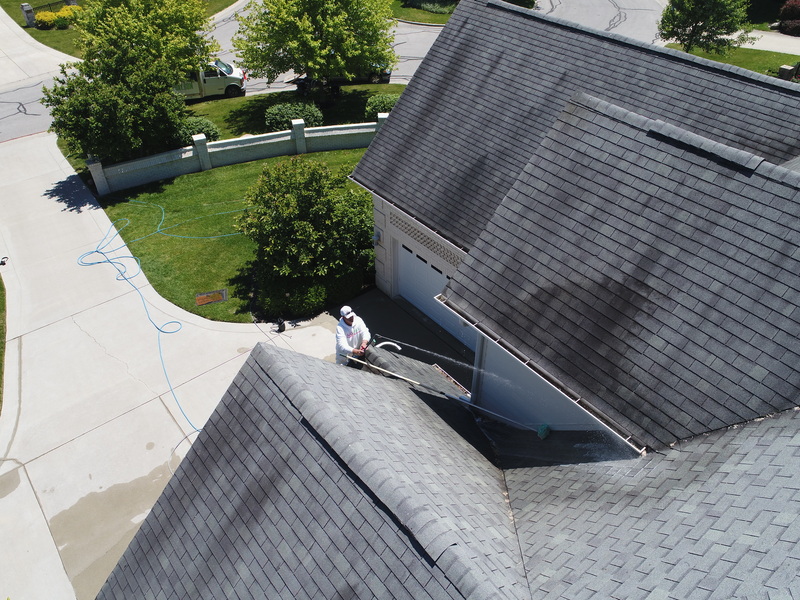 Read on now to find out more about what our roof cleaning services can do for you. 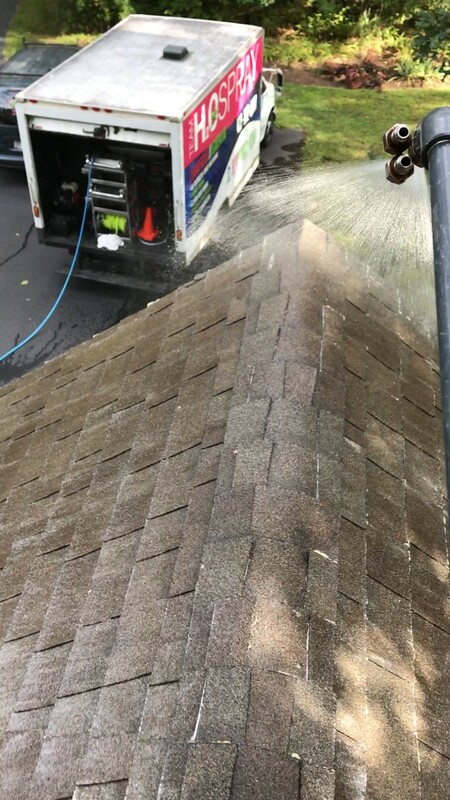 We use a soft wash cleaning process to safely clean the roof of your home, without ever putting the roof itself in danger. 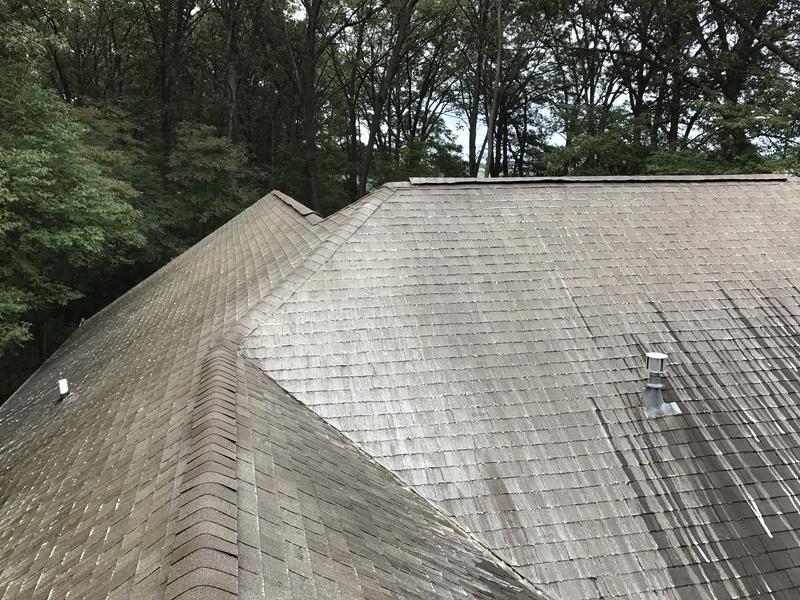 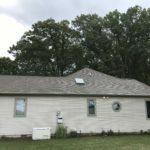 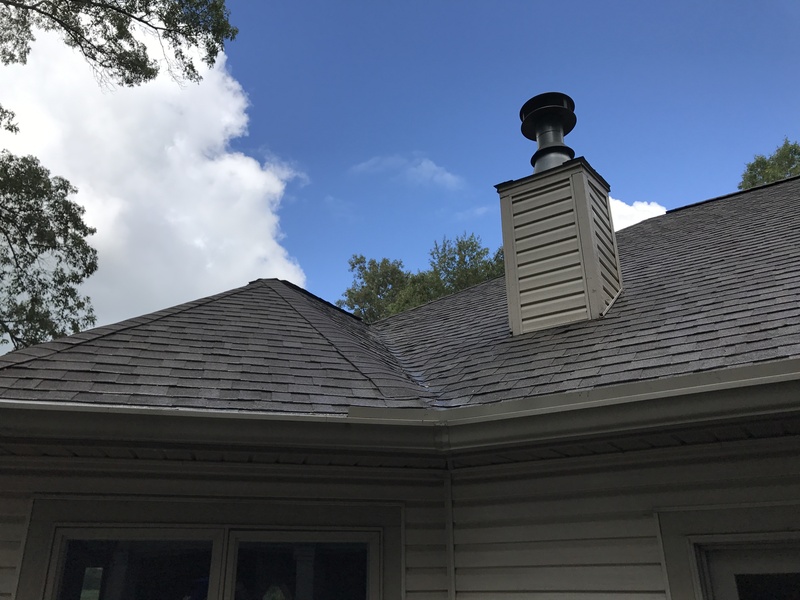 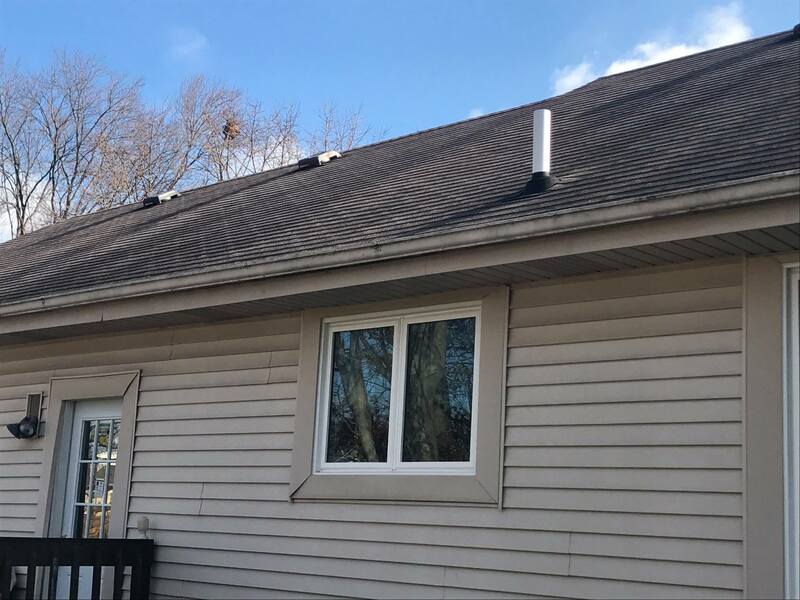 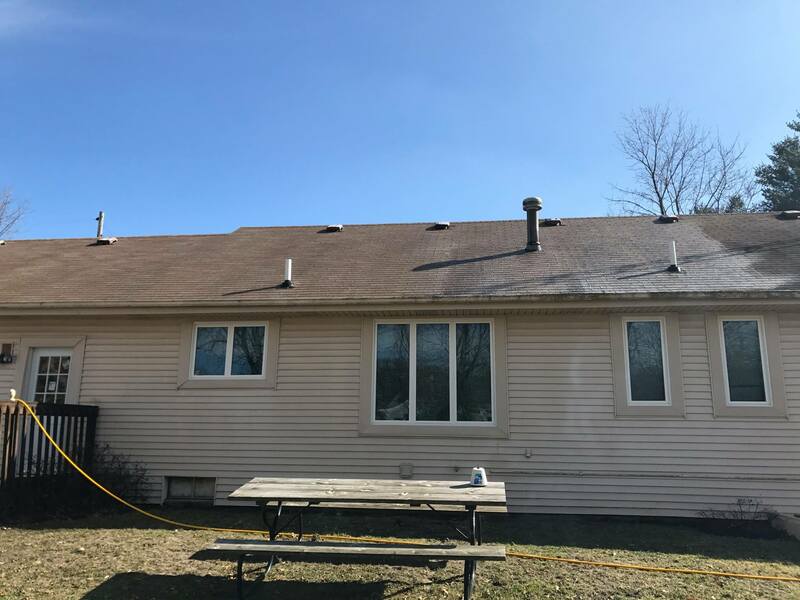 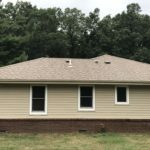 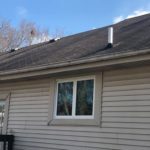 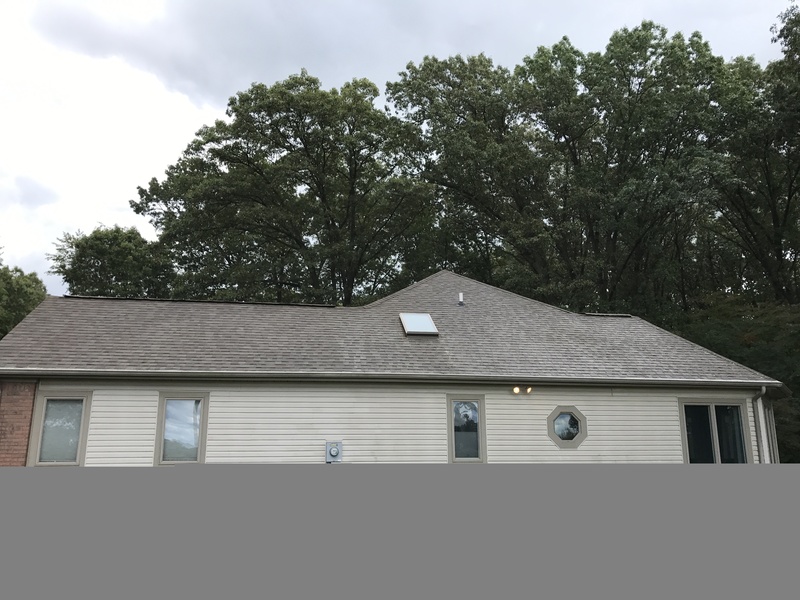 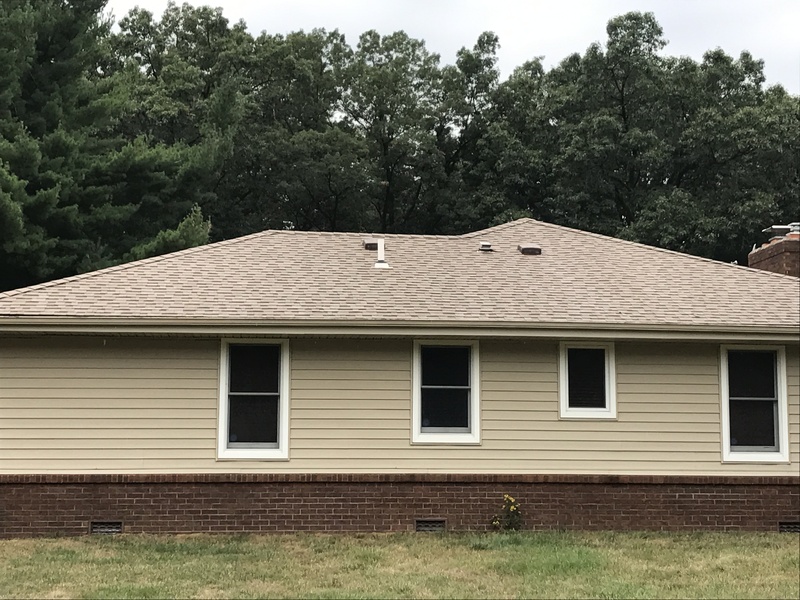 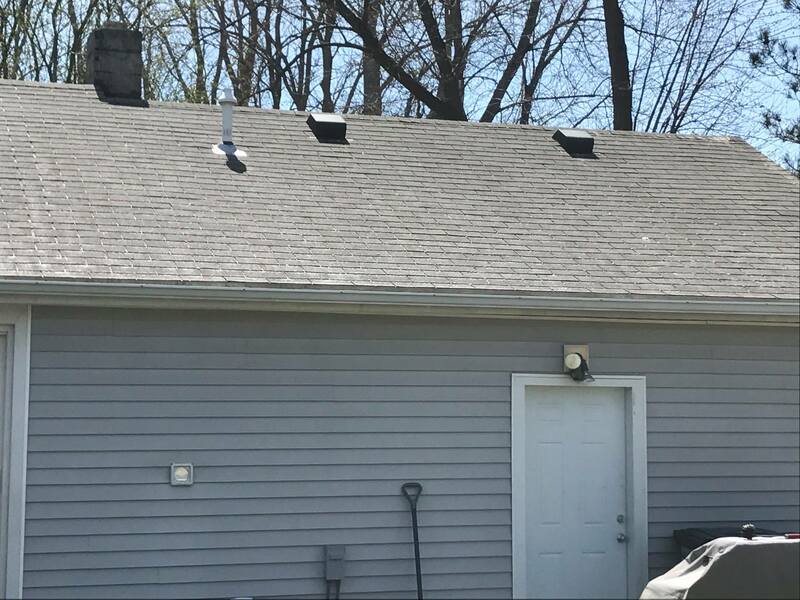 You won’t have to worry about the roof getting damaged because our soft washing method has been specifically designed to avoid any harsh impacts on the shingles. 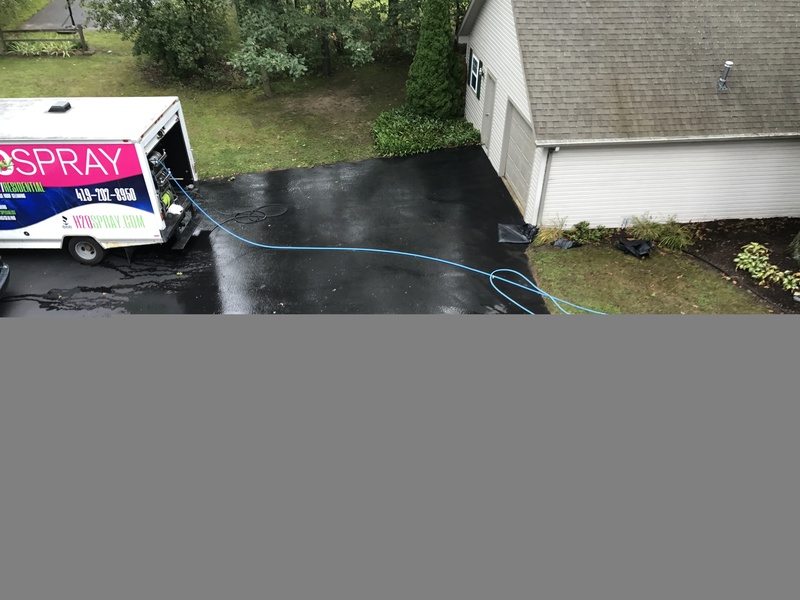 Our washing process is gentle and thorough. 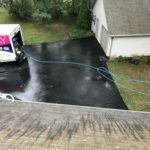 The washing process we use was developed over the course of several years by the research and development team at the Roof Cleaners Institute of America. 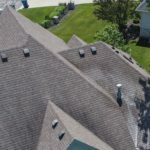 It was also approved by the Asphalt Roofing Manufacturers Association. 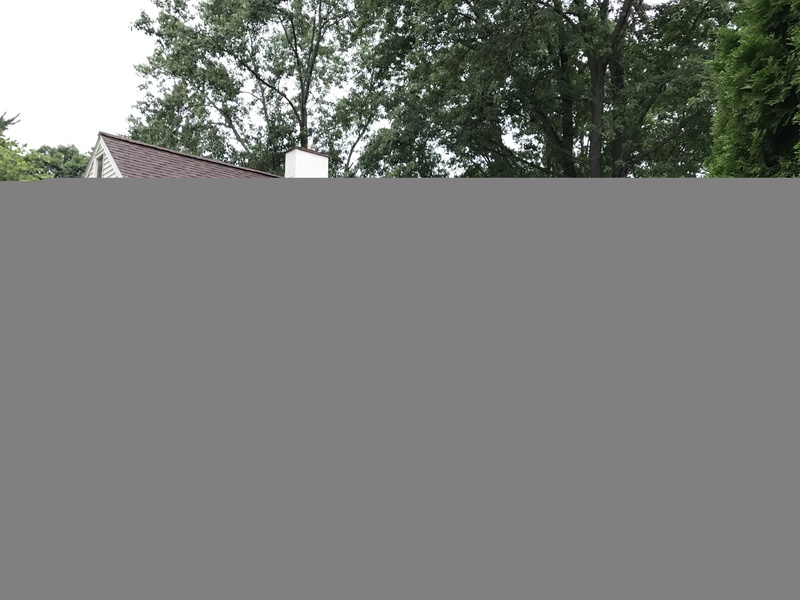 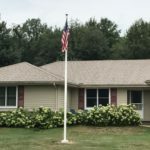 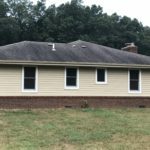 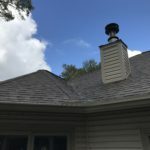 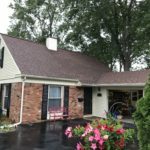 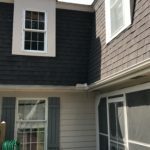 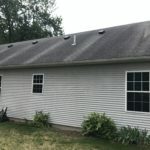 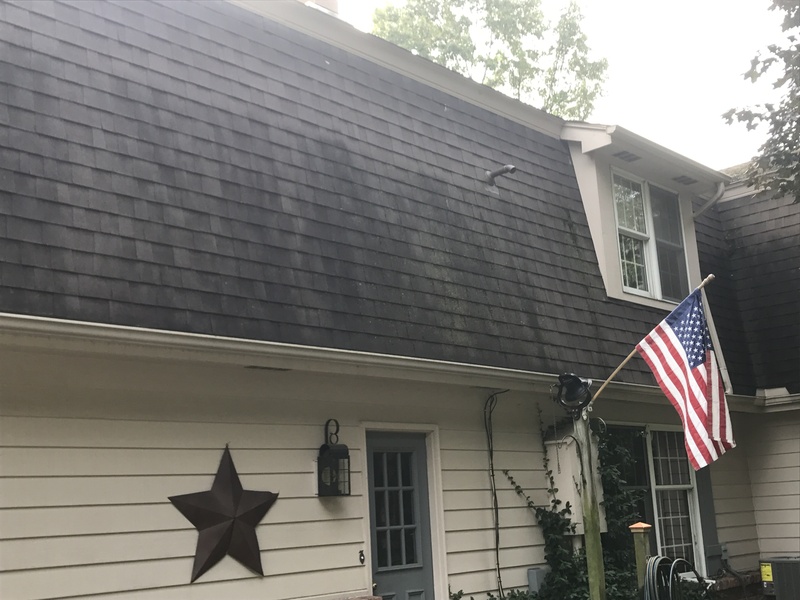 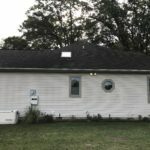 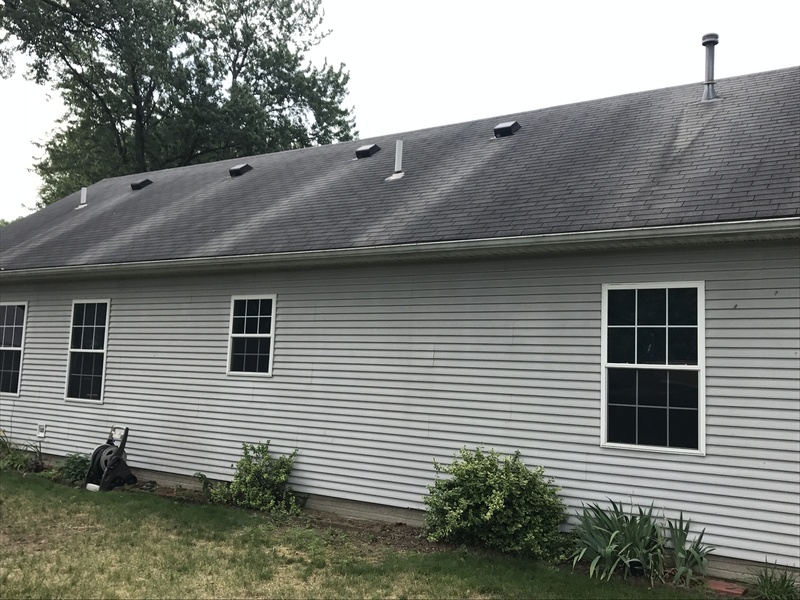 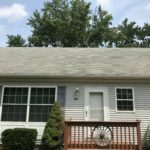 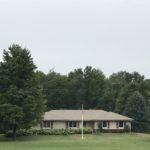 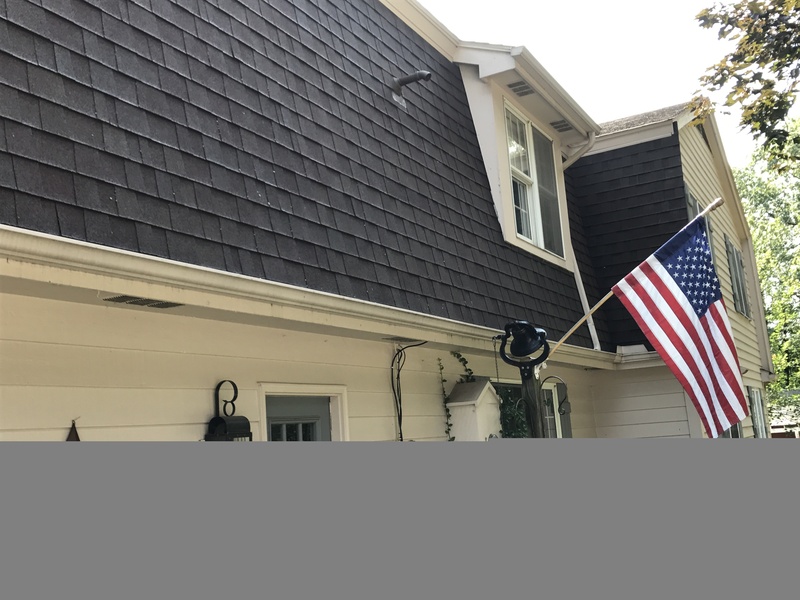 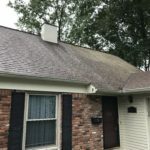 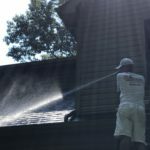 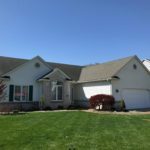 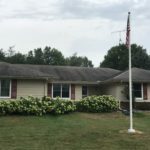 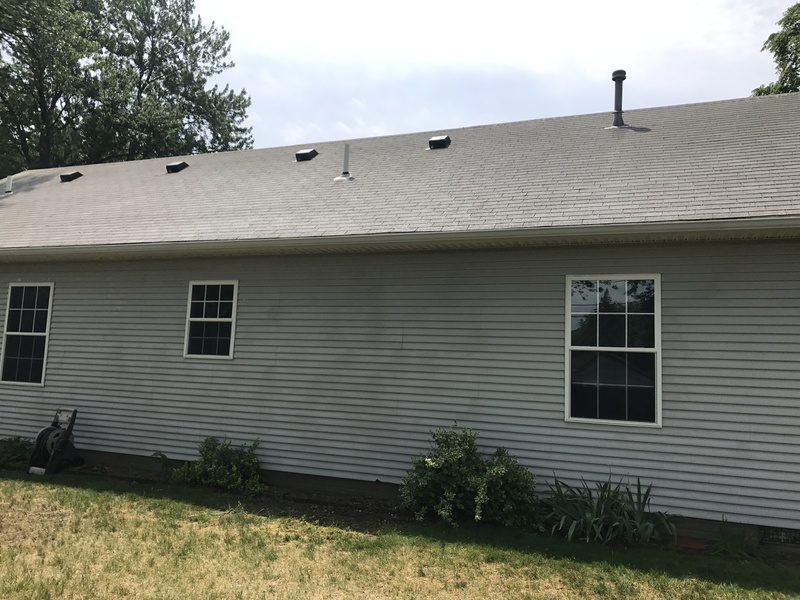 This no-pressure, no-damage approach to washing your roof will help to restore its appearance, making sure that your home is always ready to impress. 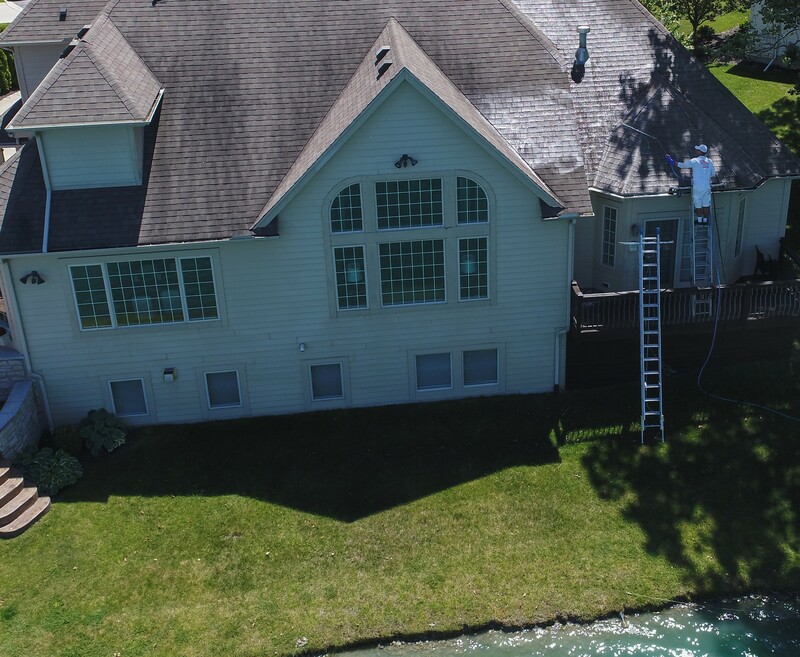 The H2O Spray team understand fully how to get the job done safely and securely, using a soft washing method. 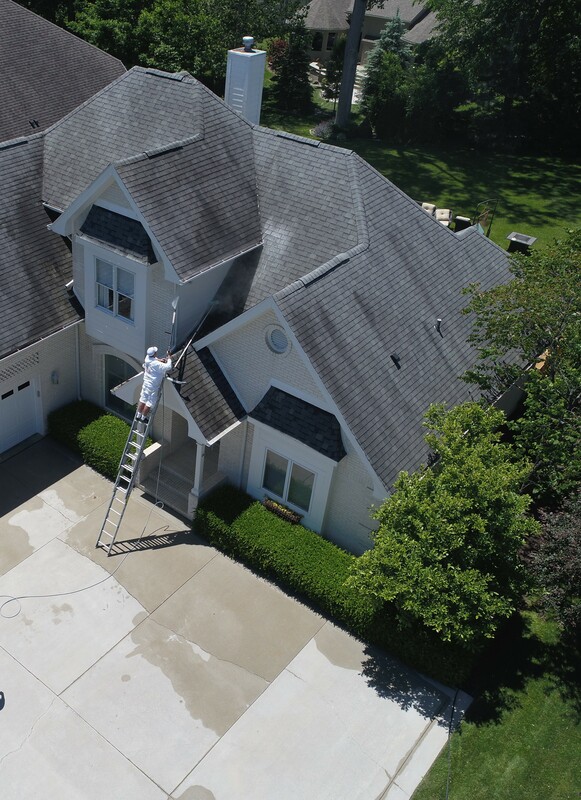 We value every customer and care about the service we offer. 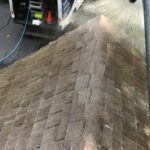 As a result, we’re in the best position to offer you the safe roof cleaning services you require. 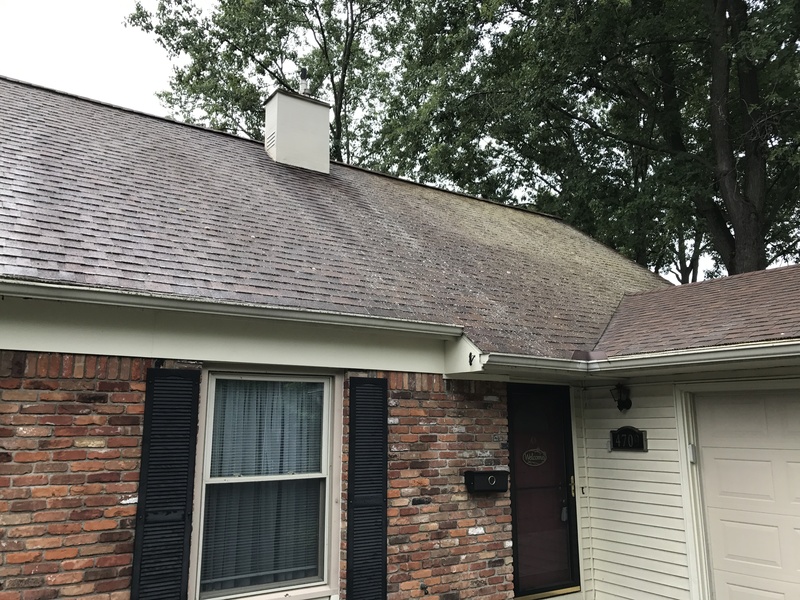 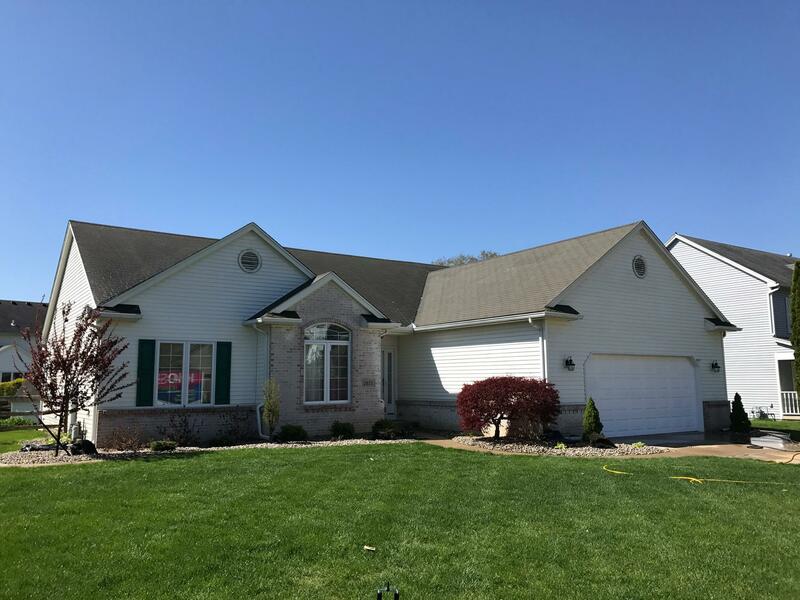 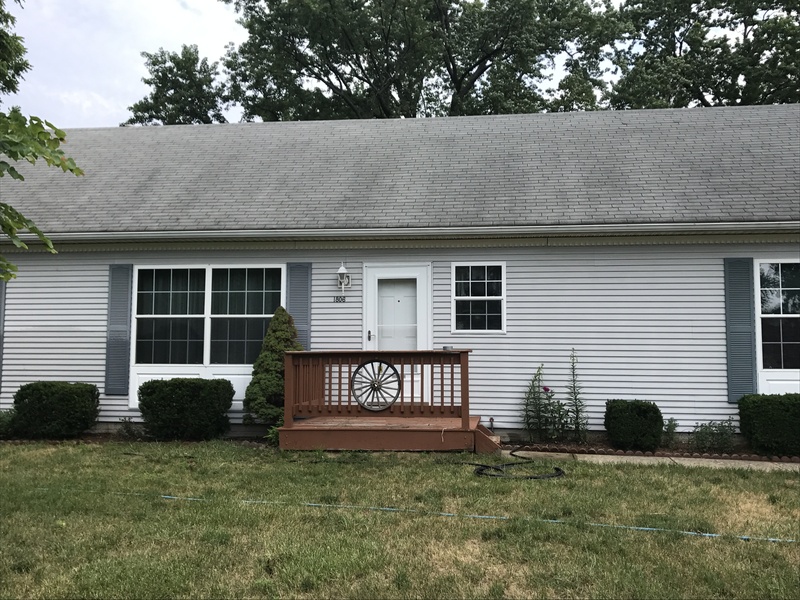 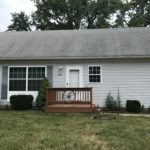 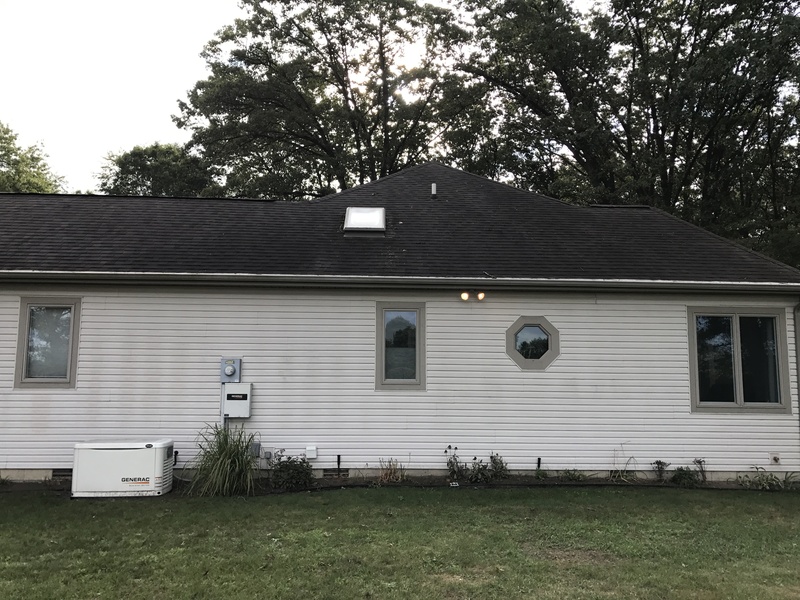 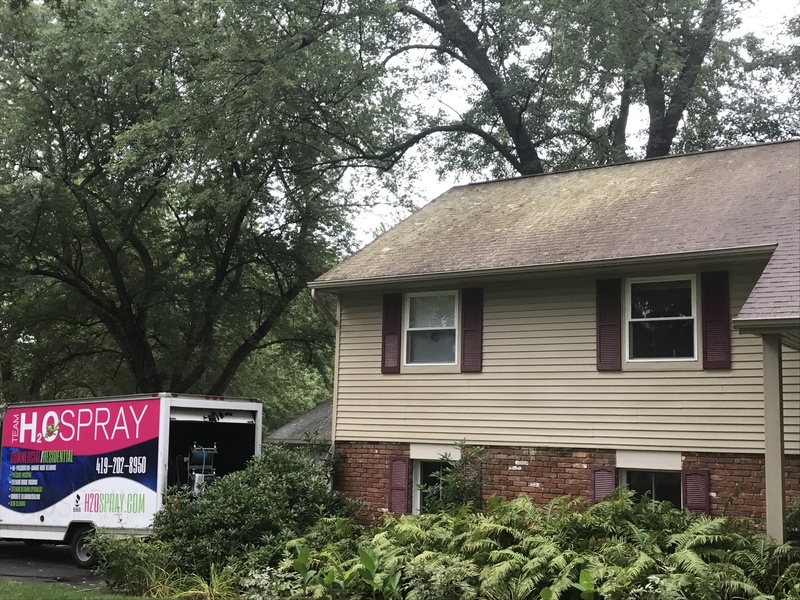 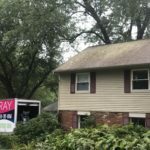 We’ve accomplished the best results for plenty of homeowners in Toledo, OH and we’ll always strive to do the same for you. 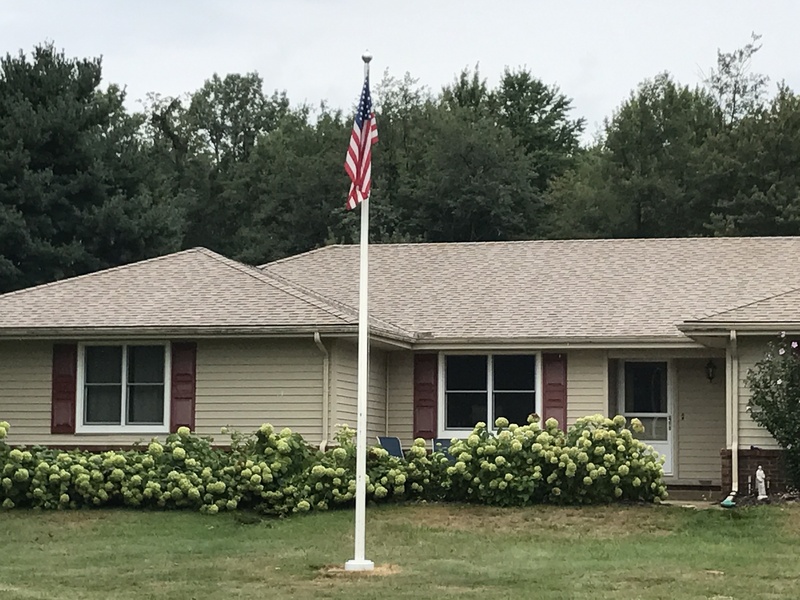 Thank you for taking the time to visit us and learn more about our services. 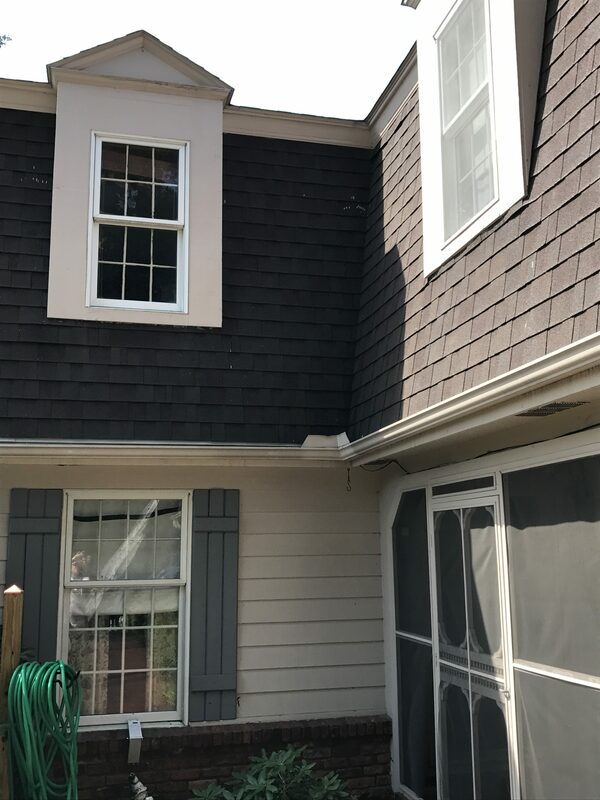 Don’t hesitate to get in touch with us if there’s anything else you want to ask about.